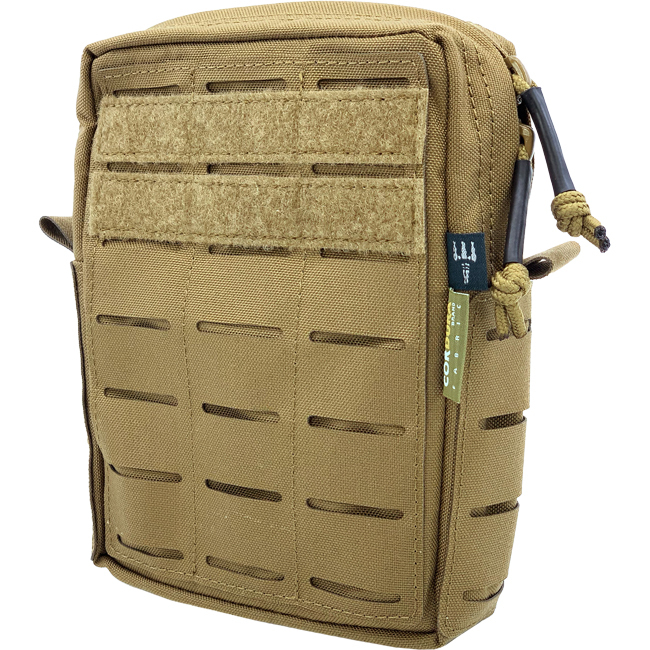 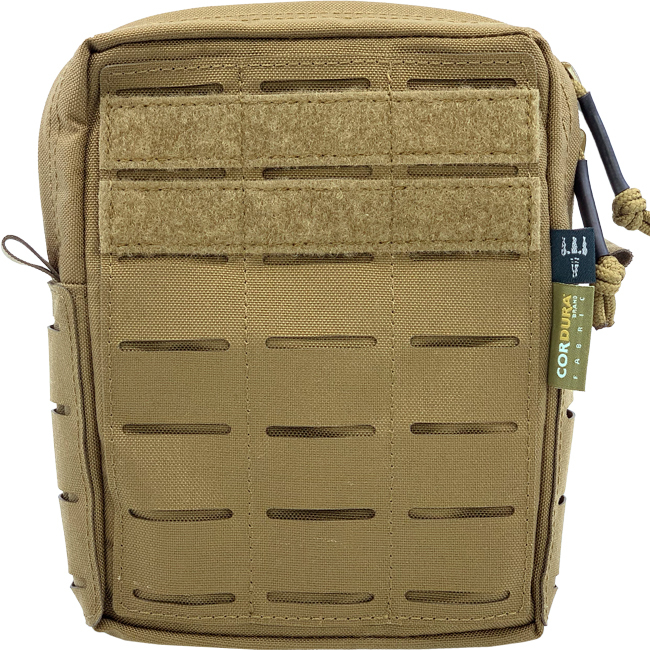 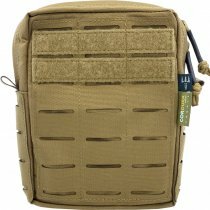 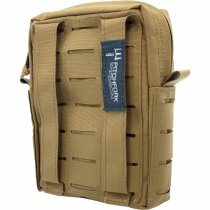 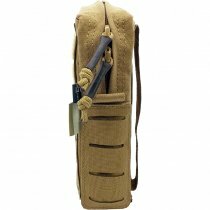 The Vertical Utility Pouch Small comes with a MOLLE system surface as well as two Velcro strips for patches. 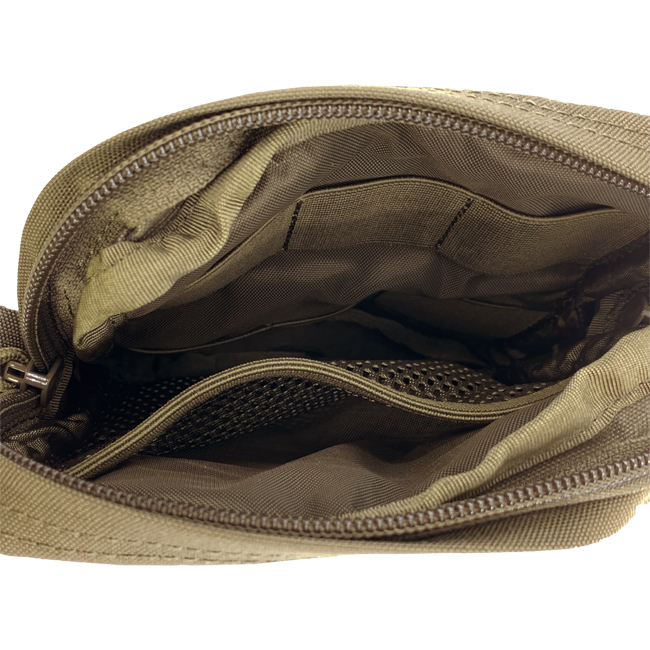 On the inside there are two rows of elastic loops and a mesh pocket on the other. This can safely store a whole lot of accessories. 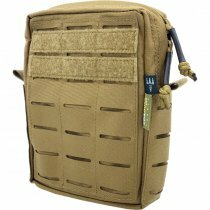 Alternatively, the pouch can also be used for a personal first aid kit. 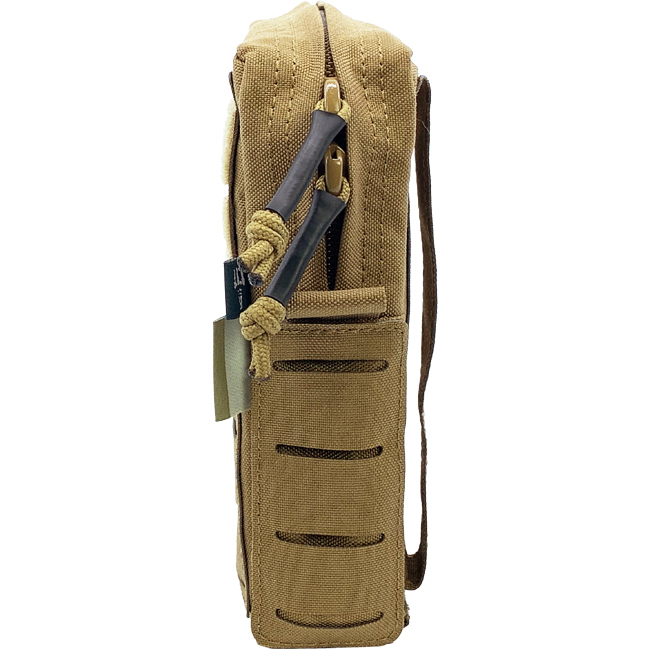 The durable YKK zipper can be opened in both directions and features flexible rubber-covered zipper pull tabs. 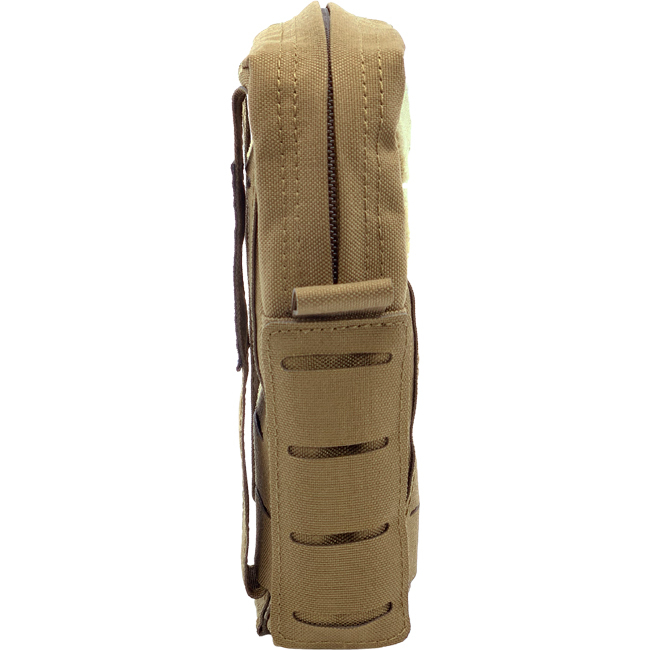 Double-sided covers protect the zipper from dirt and moisture. If water does get inside, it will drain quickly through an eyelet.